white or pink, while the overall coloration varies from grey tones to a browner coloration. 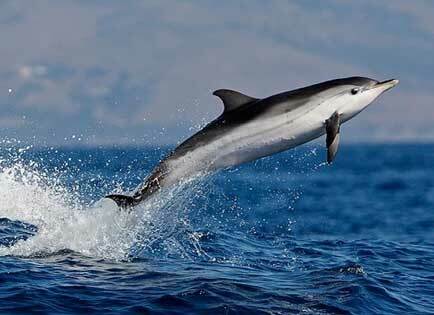 ​They can reach lengths of up to 2.6 metres and can reach 60 years of age. They travel in groups of more than 100 individuals, feeding on small fish and squid. 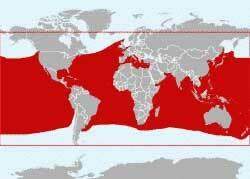 The Striped Dolphin lives in all the world's oceans, preferring the temperate and tropical waters (preferring 18-22 degrees celsius.